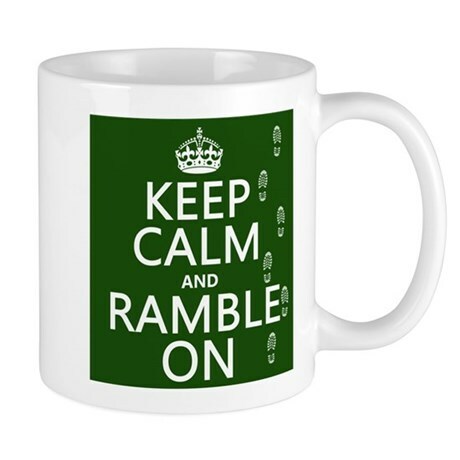 Steve Tandet and Adam Cohen, two of the three readers of this blog, told me their favorite Sunday Morning Coffee’s are when I jump on my high-horse and ramble. So, saluting today’s Speakers’ Corner in London’s Hyde Park, here we go……..
Bovada.lv, with the ultimate illustration there’s nothing people won’t bet on, has posted odds on who might be the mysterious New York Times op-ed author. The early money has Jeff Sessions as the 5-2 favorite with Mike Pence a close second at 3-1. John Kelly and Mad Dog Mattis are 4-1, Nikki Haley is 10-1, the Javanka combo of Jared and Ivanka are 15-1 while Melania and Kellyanne both tip at 50-1. One site even has Trump himself at 25-1. Another lists a ‘field’ bet at 3-1 for anyone other than those mentioned above where the inclusion of U.S. ambassador to Russia, Jon Hunstman, is getting steady play. All bets have action until December 31, 2020. At that point if the author doesn’t fail the lie detector test all wagers get refunded. For my couple of sheckles, I am going to stay away from the favorites. Sessions is grits anyway so he has very little to gain. He has much more political capital as martyr than being vindictive. Pence knows if he sits tight and doesn’t bluff, time and odds are in his favor so he gains nothing with the diatribe. Looking for a little meat on the wagering bone, I like Haley at 10-1 and Kellyanne at 50-1 even though they are both great people. The best. And as long as we are in the casino anyway let’s swing over to the keno pit and play a three-spot card of 87/79/3. Just a hunch. That combination is the number of days our Birmingham home was on the market/the number of times it was shown and the number of offers we received on the eighty-eighth day. Go figure. The U.S. Open wraps up its fortnight today with what should be an enjoyable final between Novak Djokovic and Juan Martin del Potro. Joker is a 2-1 favorite and probably is a bit too quick for the Argentine. An amazing woman’s final yesterday between twenty year-old Naomi Osaka and S. Williams, not so much for what happened on the court but for the unfortunate theatrics. Osaka become the first Japanese major champion, something Professor Toru Tanaka could never do. And yes Serena, the rules apply to bullies too. The top prize money for the Open is equitable at $3.8 million for both the men’s and women’s champion. The demands, however, are not. The men play the best-of-five sets; the women play best-of-three. I want the negotiator for the women on my side. Things have come a long way in fifty years. When Arthur Ashe, a pioneer of the tennis explosion, won the Open in 1968 he played as an amateur and got nothing. His only income was working as an instructor of computer programming at West Point. Computer programmers in 1968? What was that? Neil Simon’s passing helped spotlight some of his great works but for my money his best was 1972’s ‘The Heartbreak Kid’. Not the chintzy 2007 remake, but the original starring Charles Grodin and Cybill Shepherd. Could the publisher of the National Inquirer have a more fitting name than David Pecker? The NFL starts in earnest today, but I’m just not there yet. However, I wasn’t ready for ‘Hard Knocks’ to end. Browns castoffs Nate Orchard and Devon Cajuste can play for my team anytime. And who wouldn’t want Bob Wylie to be your offensive line coach? 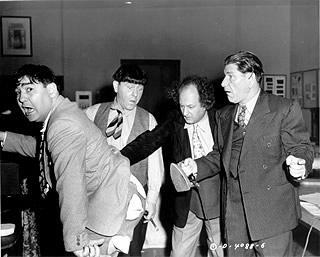 The President says the White House is “running very smoothly.” So was the Pip Boys Tailor Shop — Moe, Larry and Shemp, proprietors. The Pip Boys Tailor Shop ran as smooth as the White House does these days. What did the ‘G’ stand for in Maynard G. Krebs? People Magazine just published their list of ‘Best Books of Fall’ and once again ‘Big League Dream’ was not on it. I hate when that keeps happening. One of the best professional exercises I ever did in my career was a two-day media training session in Denver back in 1986. Sarah Sanders missed the class. I loved all three seasons of the British crime mystery ‘Broadchurch’ on Netflix. Couldn’t get enough. Bloody hell it was terrific! Workout outfits at the gym don’t leave much to the imagination anymore. Seemingly, almost everyone has a tattoo of some sort on some body spot these days. Not that there’s anything wrong with that. Then the Wall Street Journal told me the ink industry scored $1.6 billion in revenue in 2017, expected to grow at 8% annually. On week two of the college football season yesterday, Miami ended a four game losing streak beating Savannah State. That’s no big deal in itself. Everyone beats Savannah State. However, Miami beat the Tigers 77-0 covering a 64-point betting spread which according to ESPN’s Darren Rovell is the largest cover in college football history. The previous high was 60 when the ‘Canes beat Savannah State 77-7 in 2013. Through two weeks, with UAB’s 52 points in the opener, Savannah State has been outscored 129-0. And speaking of bad football teams, congrats to the University of Kansas who beat Central Michigan 31-7. That snapped a 46 game road losing streak the longest ever among D-1 schools. How can Alabama, who beat Arkansas State 52-7 yesterday, recruit as many blue-chippers as they do year-in and year-out but can’t find a reliable placekicker? Tuesday is September 11. The same day of the week it was seventeen years ago. Don’t let it pass without taking a moment to reflect. Not that you asked but the loneliest four minutes in the world is doing a set of stand-up comedy and bombing. Despite declining steadily at 2% a year, football is still the largest participatory sport for high school boys. What’s second? Soccer? Nope, it’s track and field, which is also the leader for high school girls. Love him or leave him, the new unauthorized Tiger biography is a great read. I was lucky enough to have dinner a couple of months ago with former PGA pro and now Fox commentator Brad Faxon. Of course most of the conversation revolved around Tiger and what he was like in the clubhouse and inside the ropes. Brad recommended reading the recent Jeff Benedict-Armen Keteyian unauthorized biography for the most accurate portrayal he’s ever read. 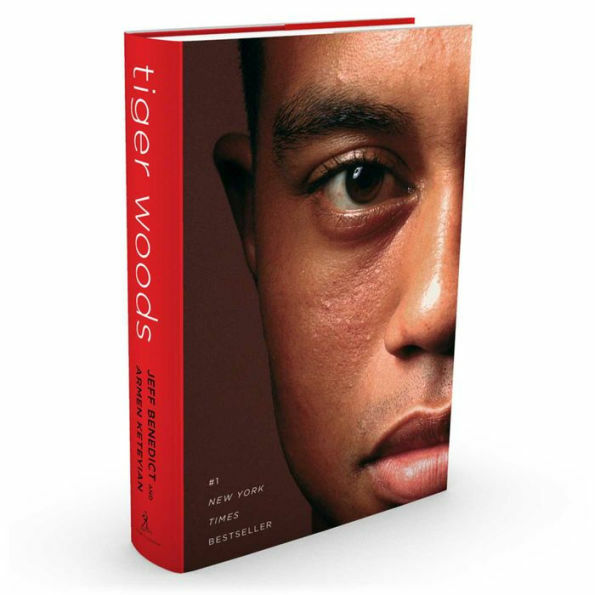 The book is by no means Tiger’s best moment, but you’ll have a much better appreciation for where he came from, what made him like he was and what he’s trying to be today which, noticeably, is one of the guys. As the Jewish New Year 5779 begins tonight, we pray that somehow this divided nation takes a break and we all have a very sweet and happy and healthy New Year. We can wish, can’t we? E cellent point about the National Inquirer guy. I was wondering when somebody would bring that up! I guess I am number 4!! I love reading your blog! As a Midwesterner who finds herself still living in the ‘ham 18 years later and still wondering how this 2-3 year stint has turned into 18, I appreciate your northern humor and outlook on life and particularly life in the south. I also used to play tennis with Andi and agree -you are a lucky man to have such a great gal !! Great blog ! Best to date ! You did stand-up? Whoa. I am very proud of you Roy. I hope everything goes well with your move. What’s the difference between Louisiana mud and Mississippi mud? Its location.